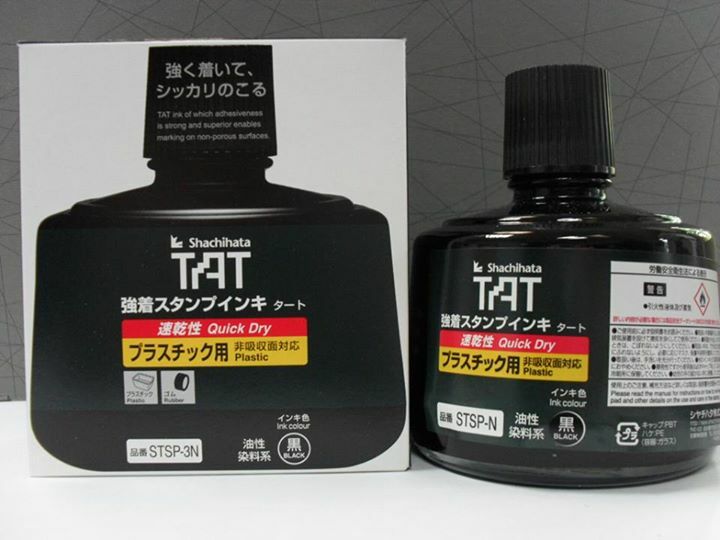 - Contains oil based ink with ultra fine pigment particles, ideal for clear and smear resistant marking on non-porous surfaces like metal, plastic, glass, leather, as well as on porous surfaces like coated paper, wood, etc. 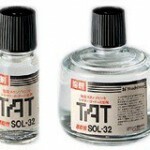 -TAT ink is heat-proof, highly oil resistantband shows excellent performance even after exposure to extreme conditions. - Quick dry and Regular dry types are available in 6 different colours (black, blue, red, green, purple and white) for various use. 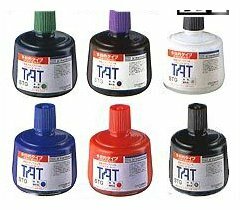 QUICK DRY INK Refill for TAT uninked stamp pads STG-1 55 ml. - Make sure the ink is the same ink type, same colour and same dry time as your original when refilling. - Do not mix TAT ink with others. 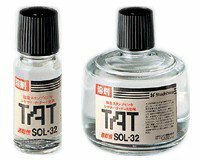 -Quick dry ink can be used only for inking TAT uninked stamp pads.